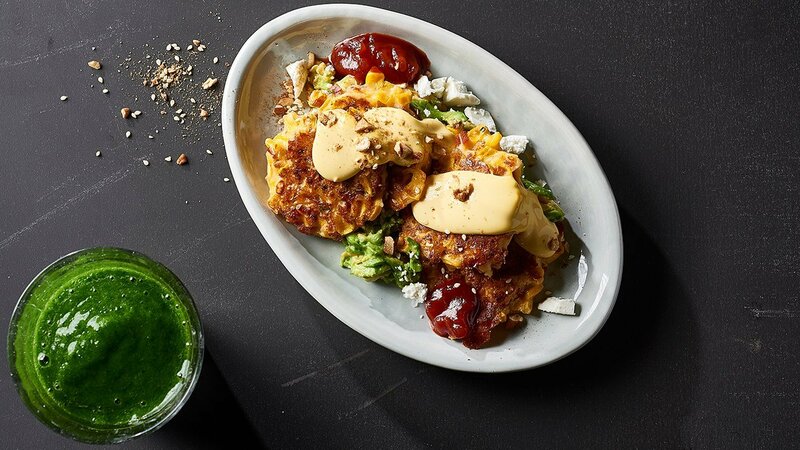 Spanish fever is on the menu with this crunchy fritter and smashed avo number. Crack eggs into a separate bowl and whisk in milk salt and pepper. Fold in the corn, chives, chorizo, and fetta. Set aside until pan is ready. Harvest the flesh from the avocado and sprinkle with KNORR Lime Powder. Use a fork so smash the flesh until desired. Place KNORR Garde d'Or Hollandaise Sauce into a pot and heat slowly stirring occasionally. Take a pan and heat over medium flame. Lightly oil the pan and spoon fritter mix into pan, allow to brown one side and then flip to cook other.